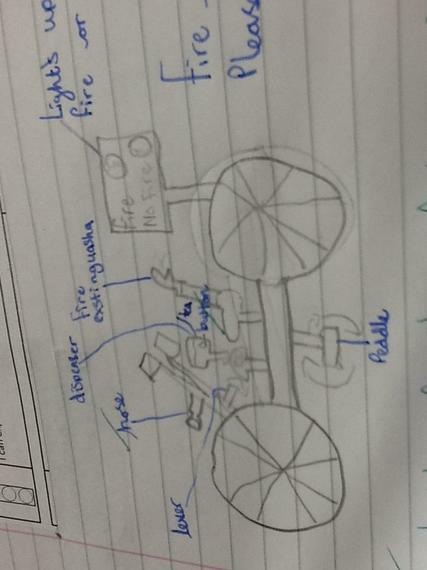 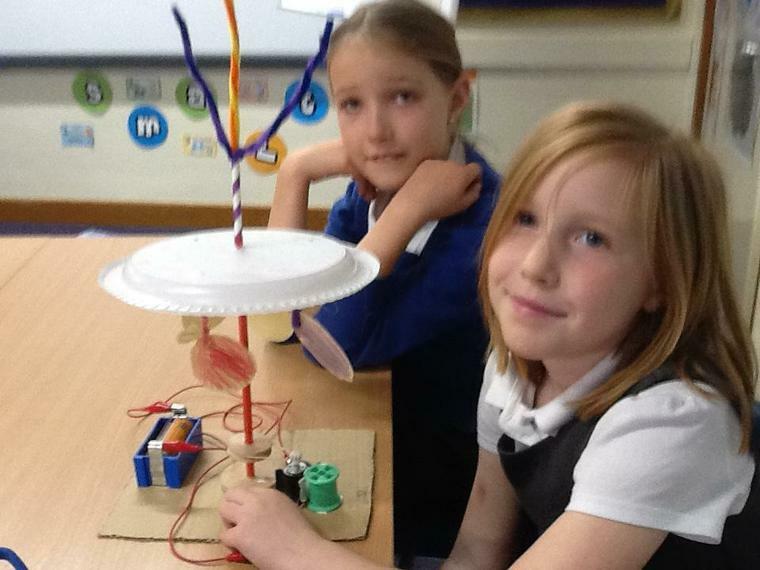 Week 1: Can I Become an Inventor? 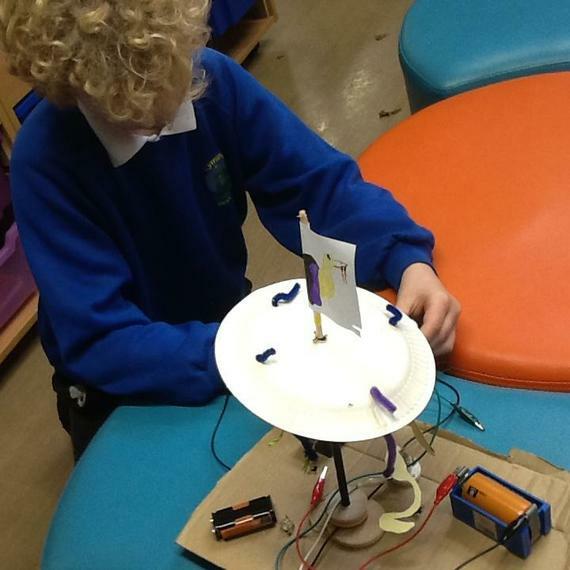 This week we began our Big Question..... 'Can I Become an Inventor?' 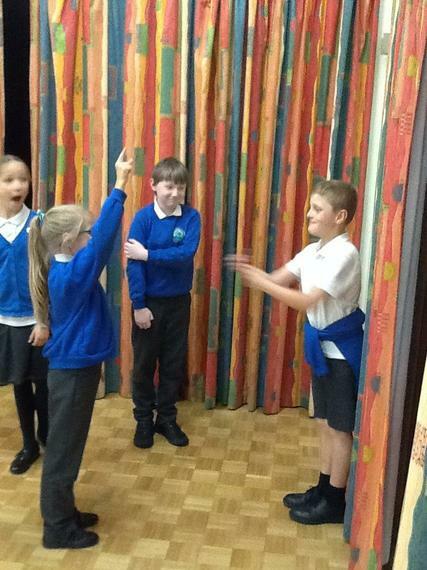 To link with Maths we researched Leonardo da Vinvi and tried to find out if we were the Vitruvian Man by measuring each other to see if we were in proportion! 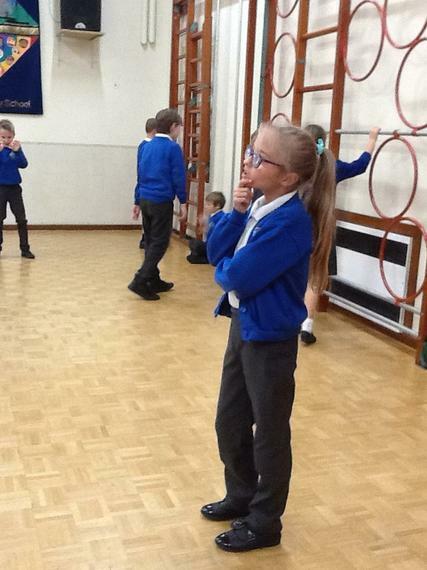 There was one perfect pupil but we think we are all perfect! 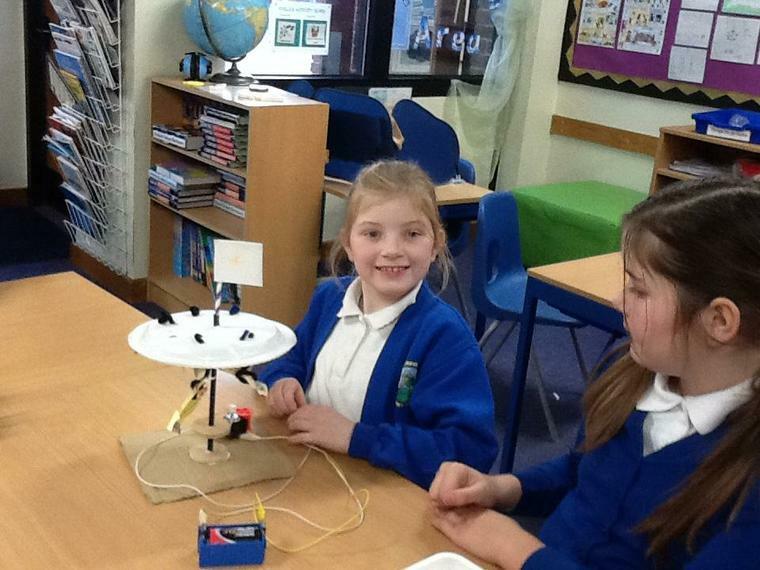 We also discussed what an inventor looks like and challenged different stereotypes! 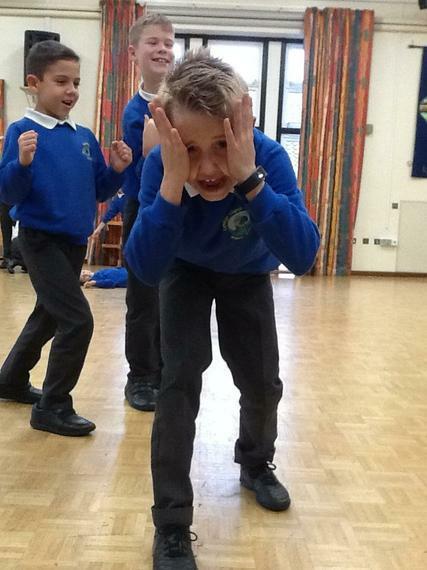 At the end of the week we enjoyed a drama session with Ian from KIC theatre and explored friendships. 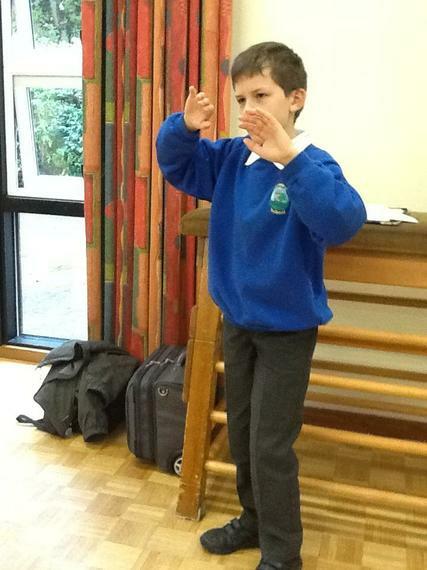 We love drama as a class and always enjoy seeing Ian each year! 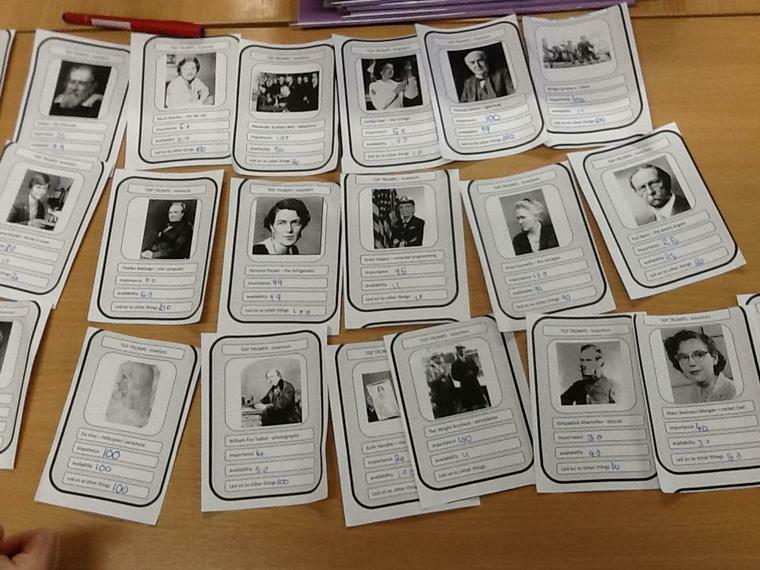 Week 2: Who was the most famous inventor? 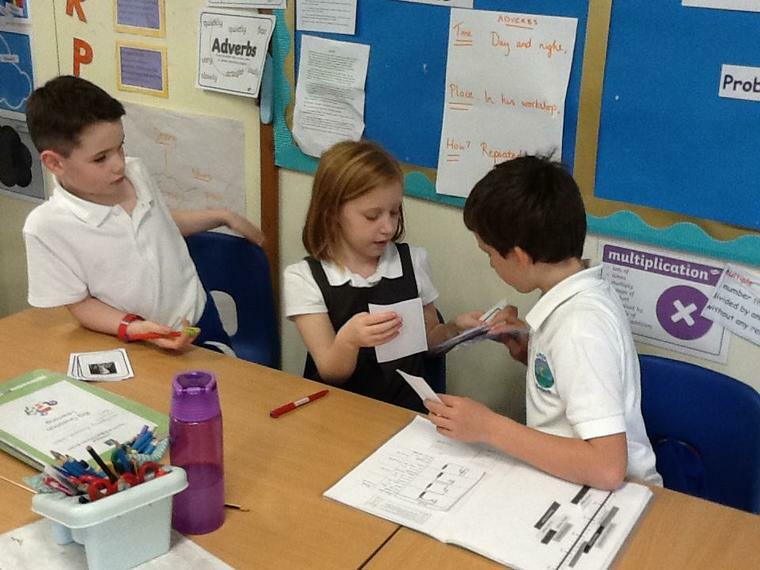 In collaborative groups we used the diamond system to order inventors. 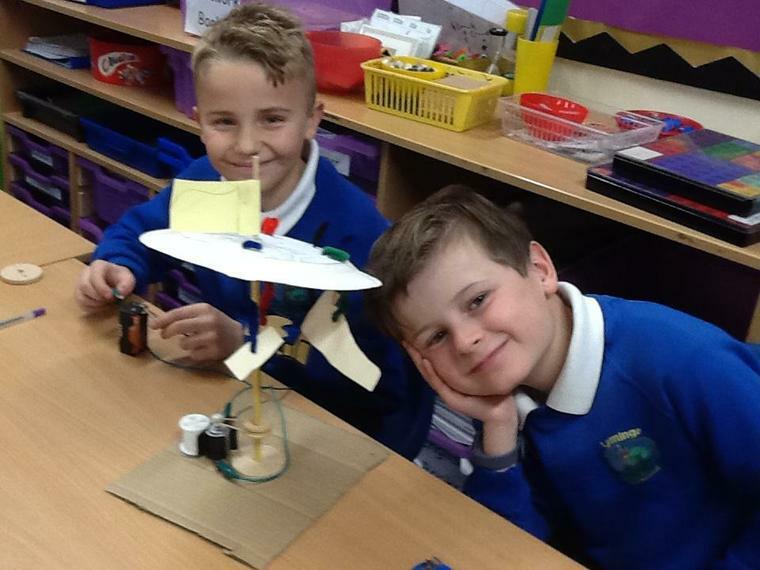 We had different ideas about who should be awarded the top spot for most important and our ideas included Thomas Edison, Leonardo da Vinci and the Wright brothers. 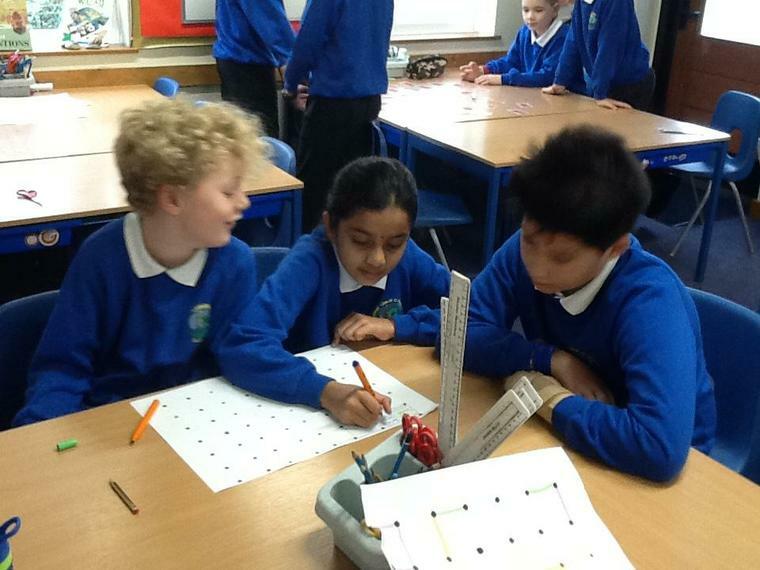 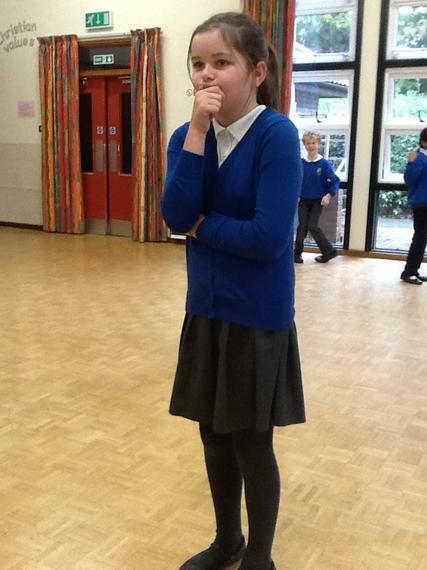 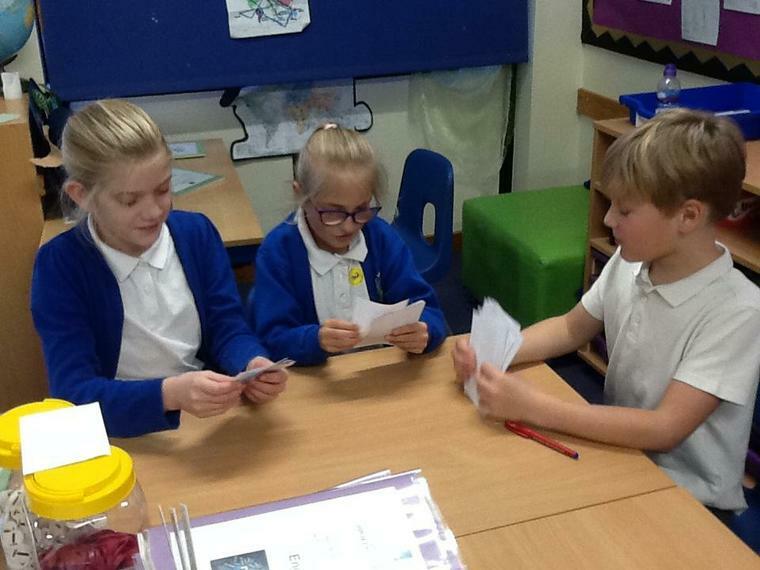 This week Year 6 led Prayer Week and we took part in different activities for a whole day! 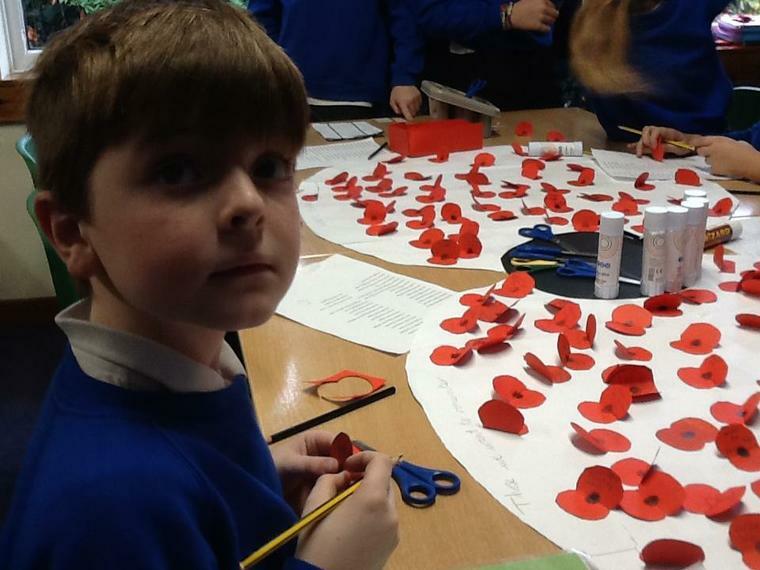 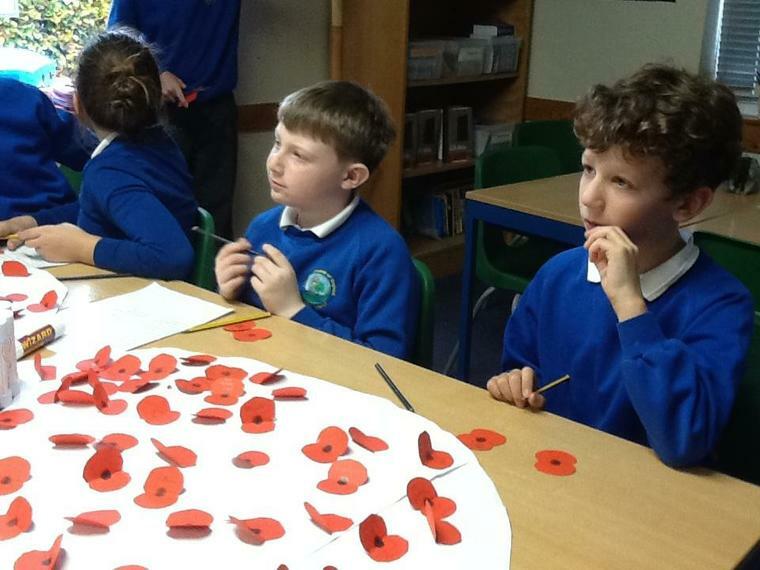 We also thought about Remembrance Day. 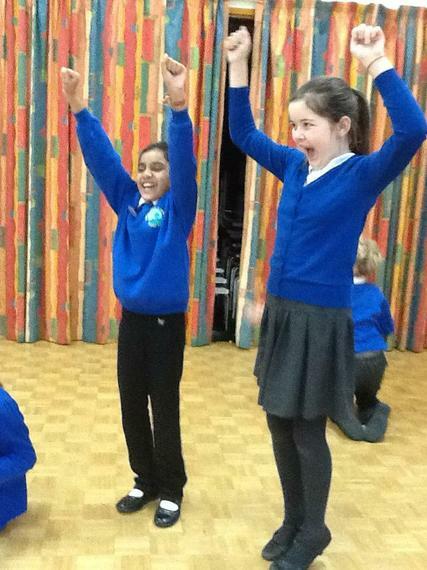 Thank you Year 6 for such a lovely day! 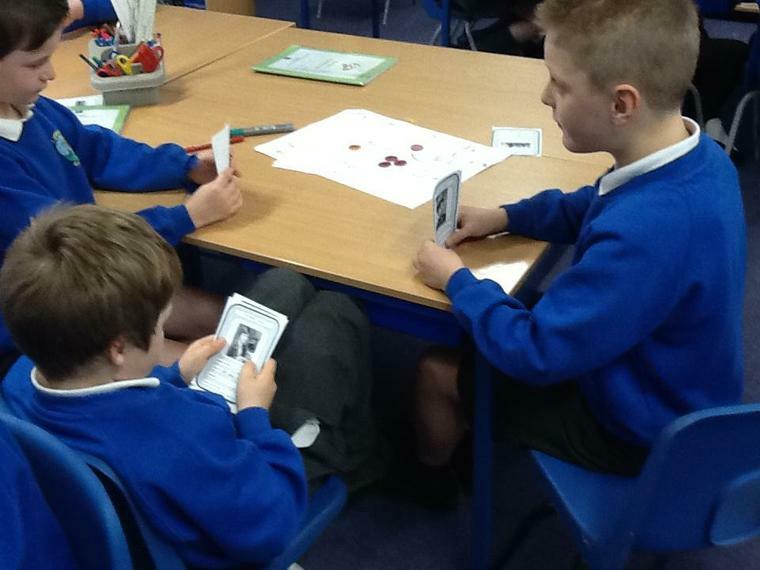 Week 3: Can I Create my own Game? 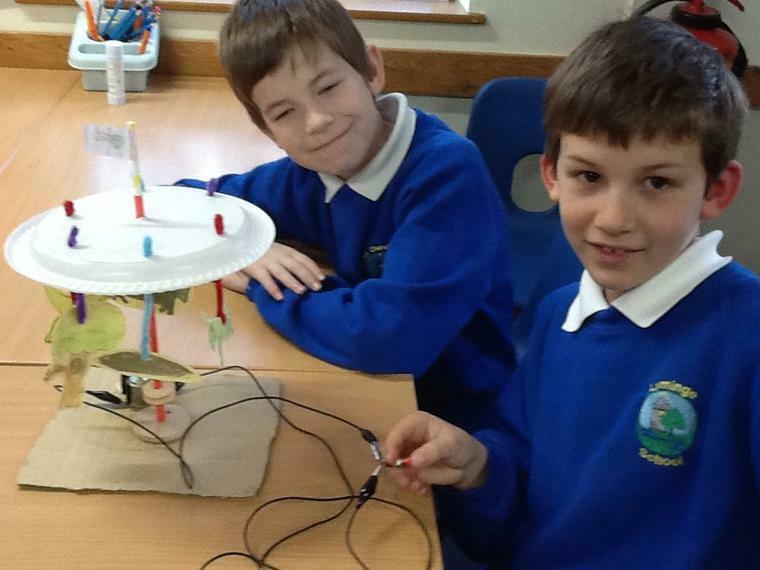 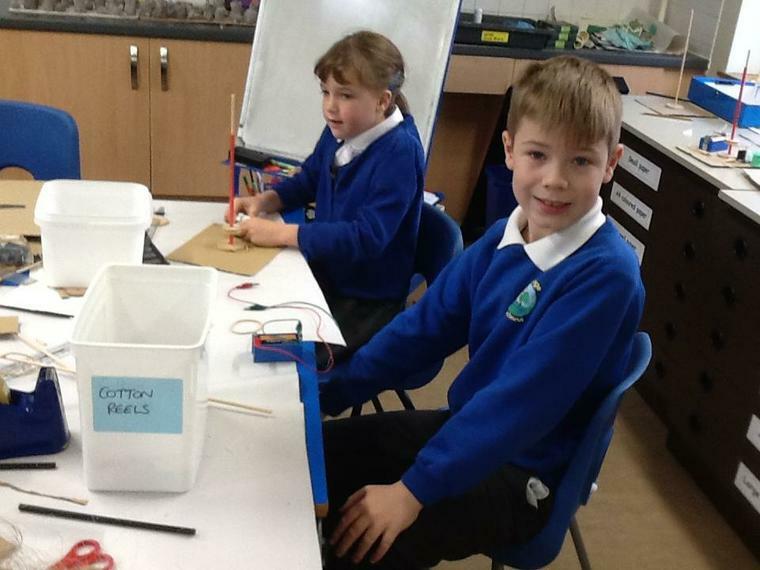 This week we followed instructions to create complete and incomplete circuits in Science to inform us for our exciting DT day next week! 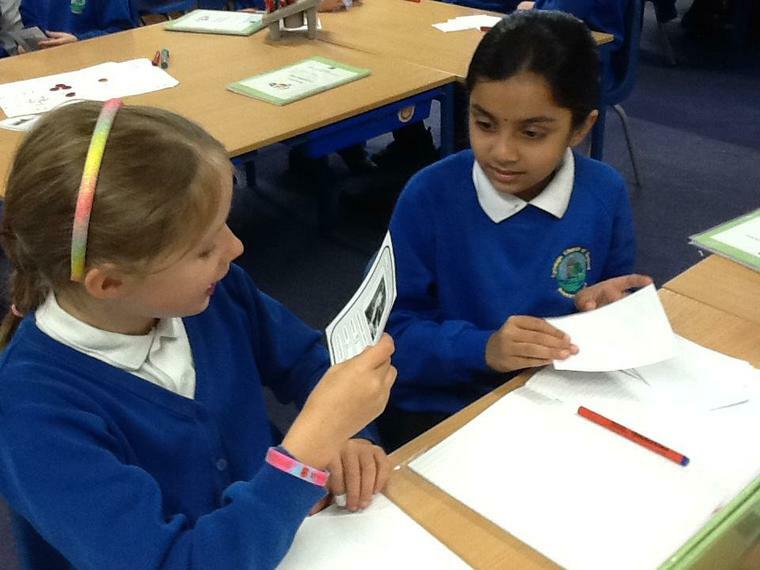 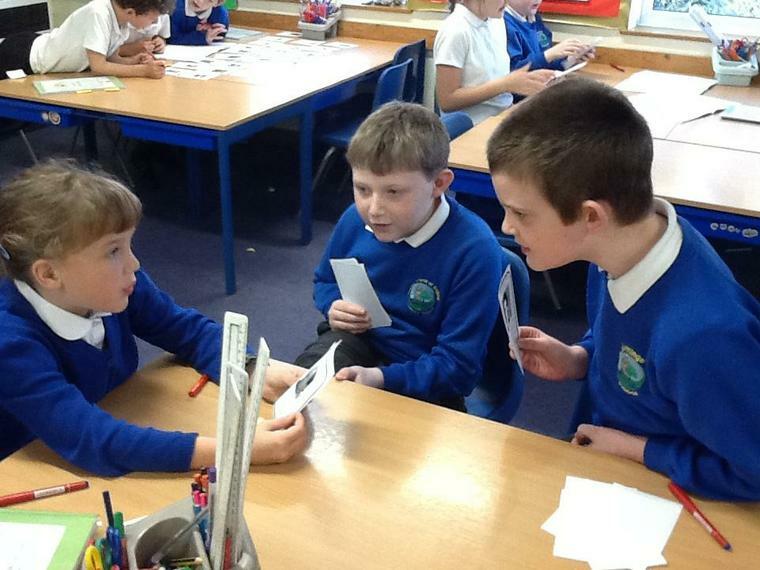 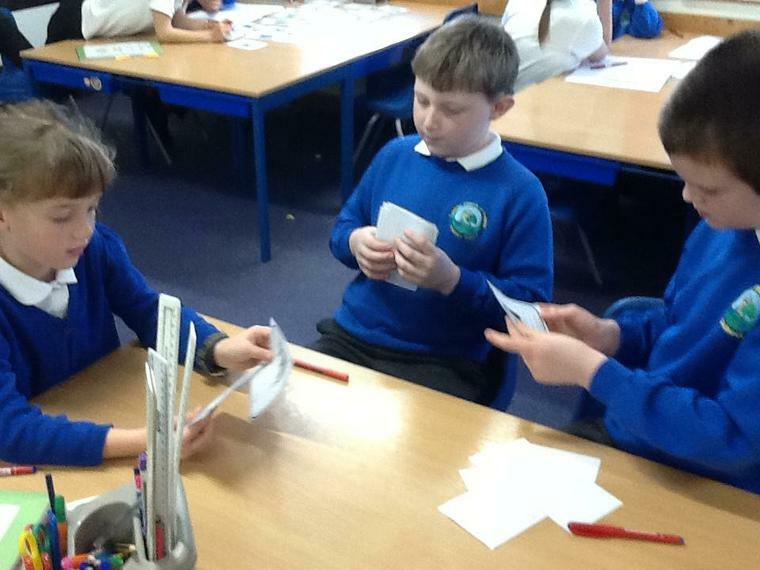 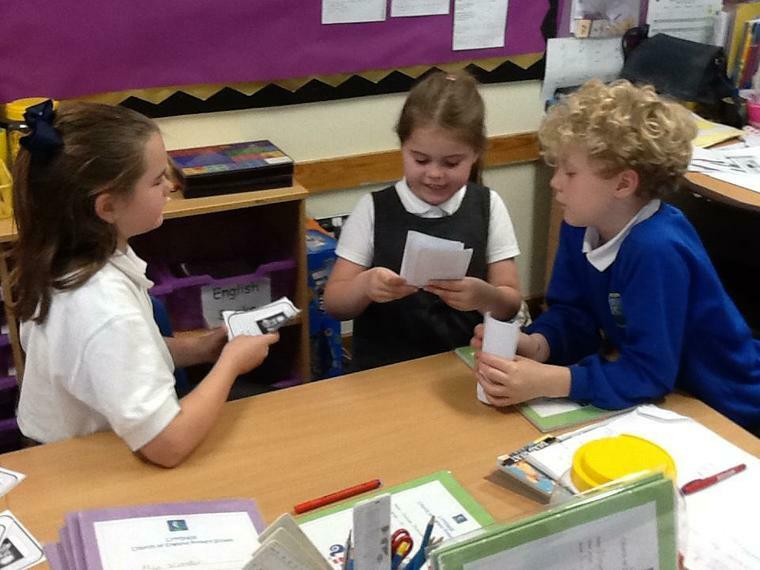 We also created our own games included a Top Trumps game for inventors. 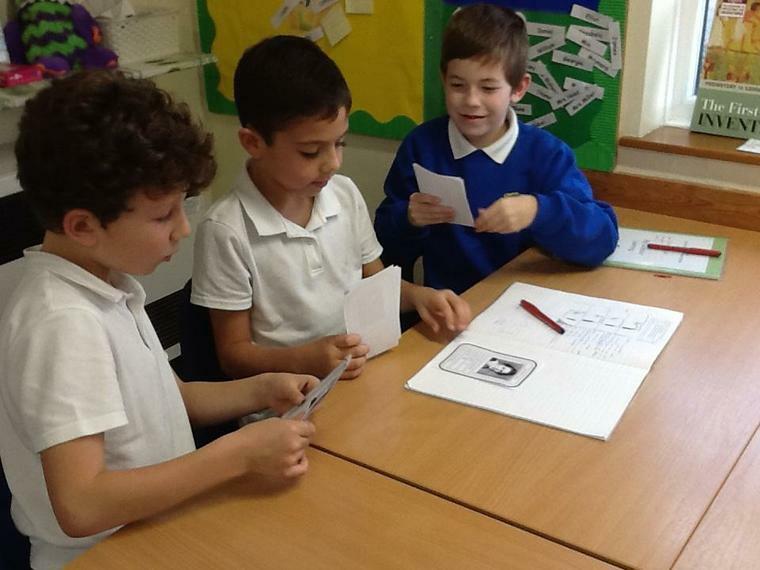 The golden card was the best card to have as it scored the highest combined score for importance, availability of the invention and how many things the invention led onto. 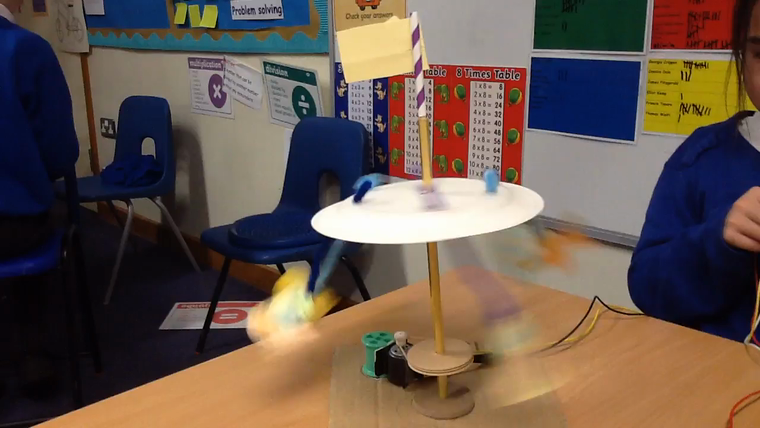 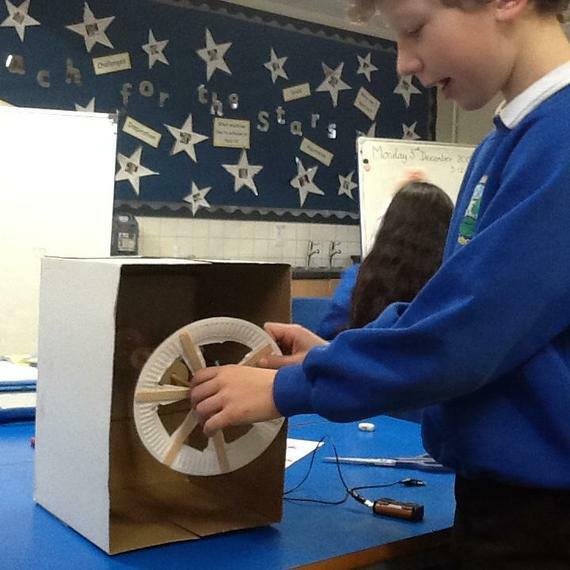 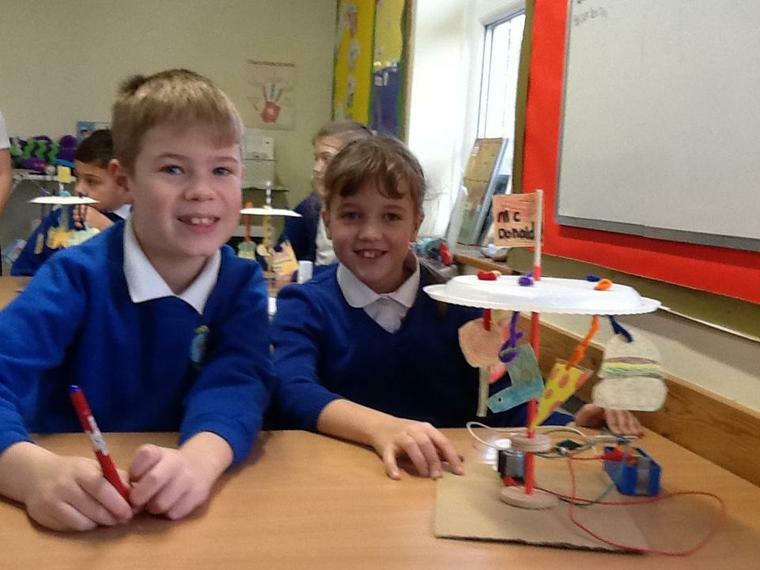 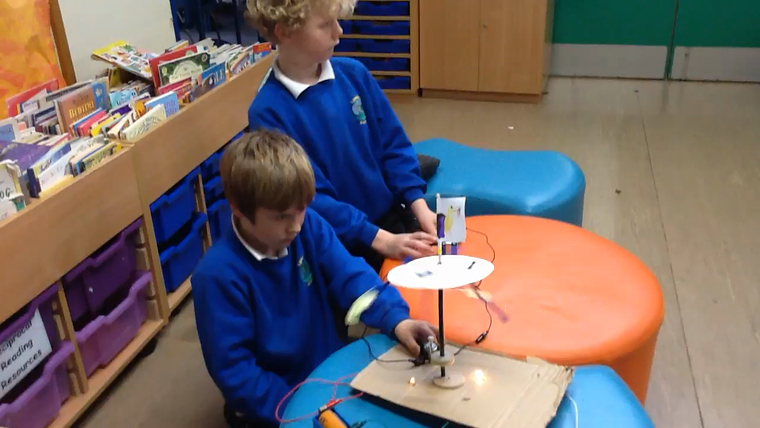 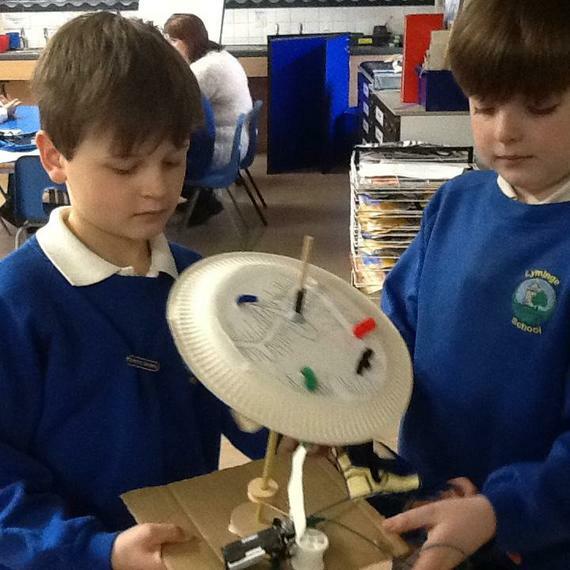 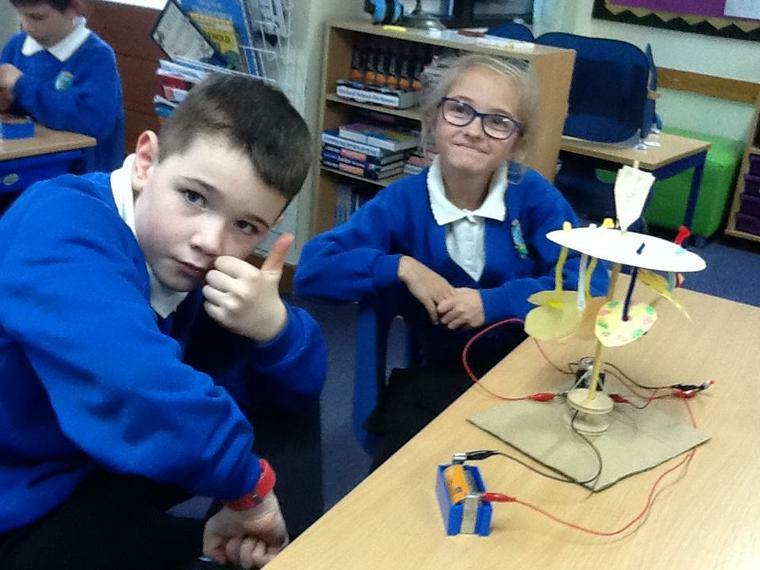 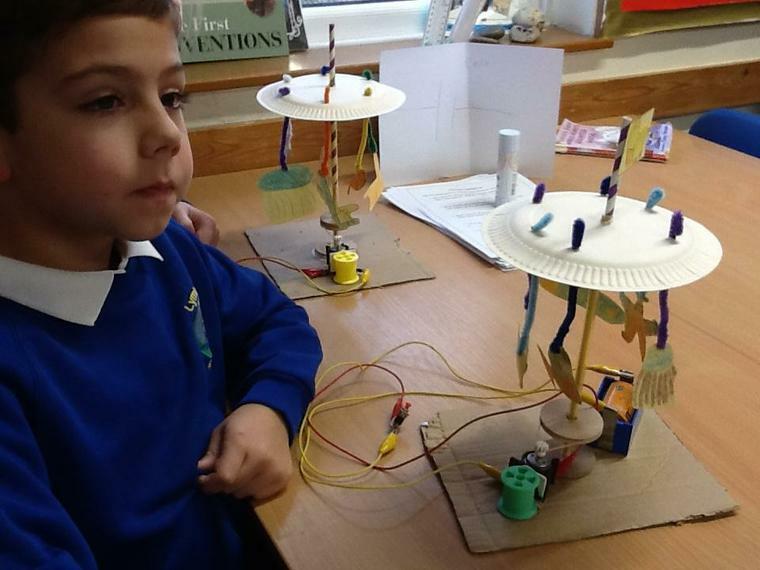 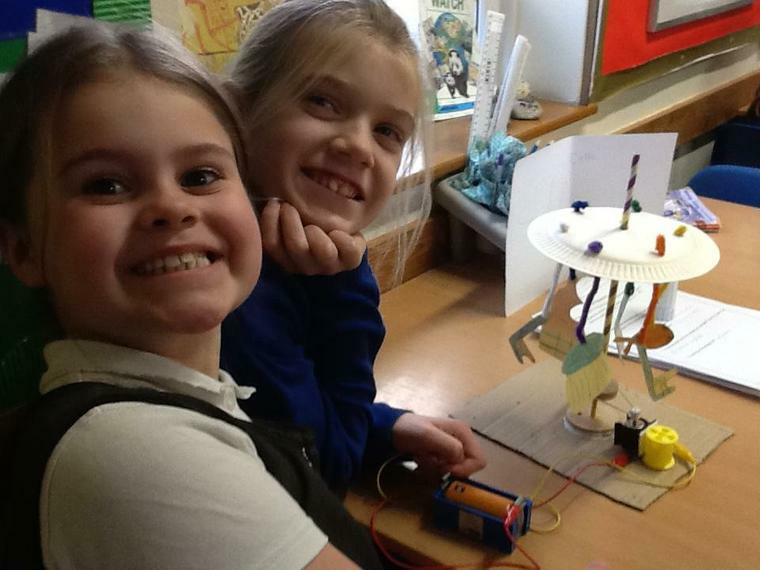 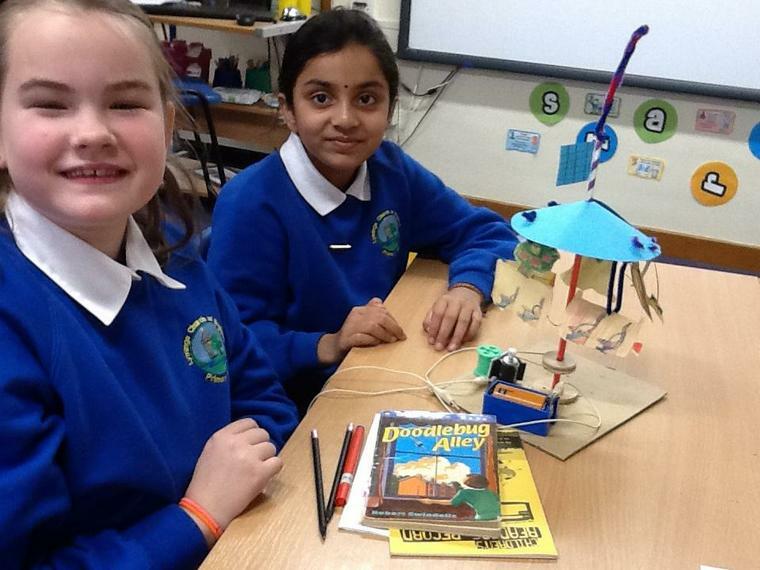 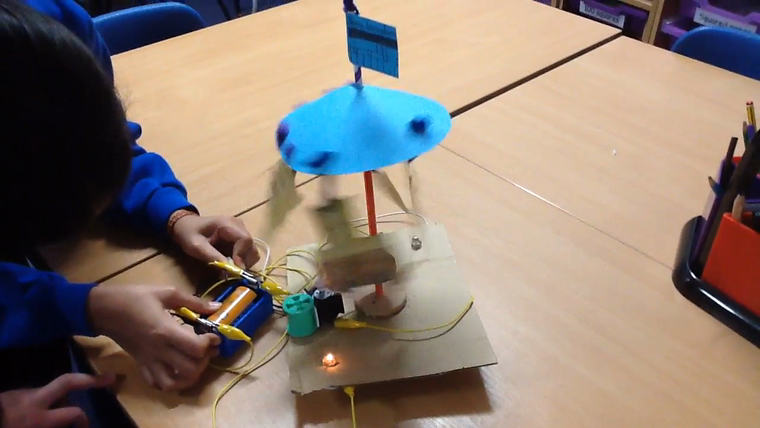 This week we had a DT day; we made carousels and ferris wheels by creating a pulley system and by using our circuits that we had made in Science. 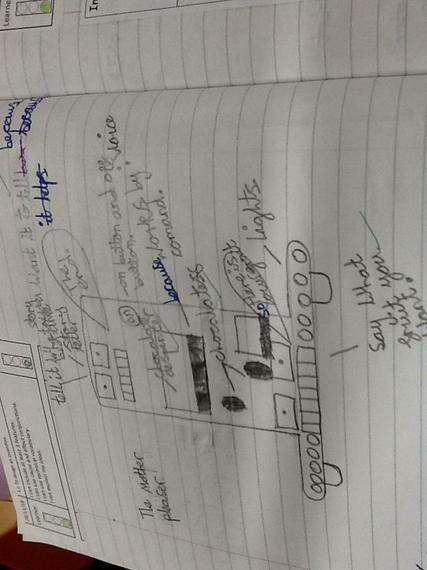 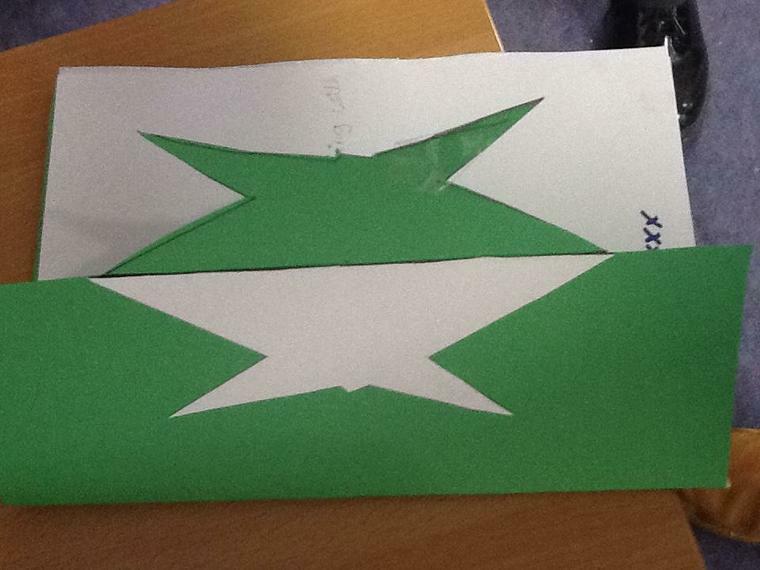 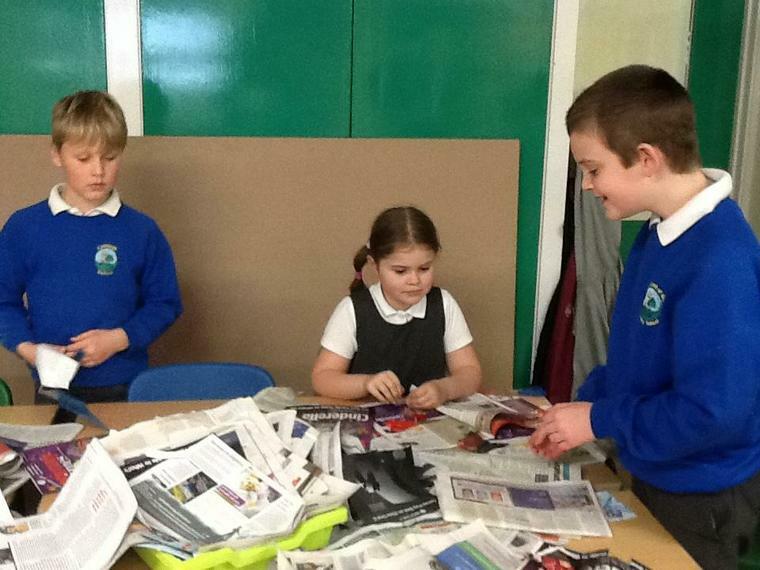 We enjoyed both the designing and making part and evaluated throughout. 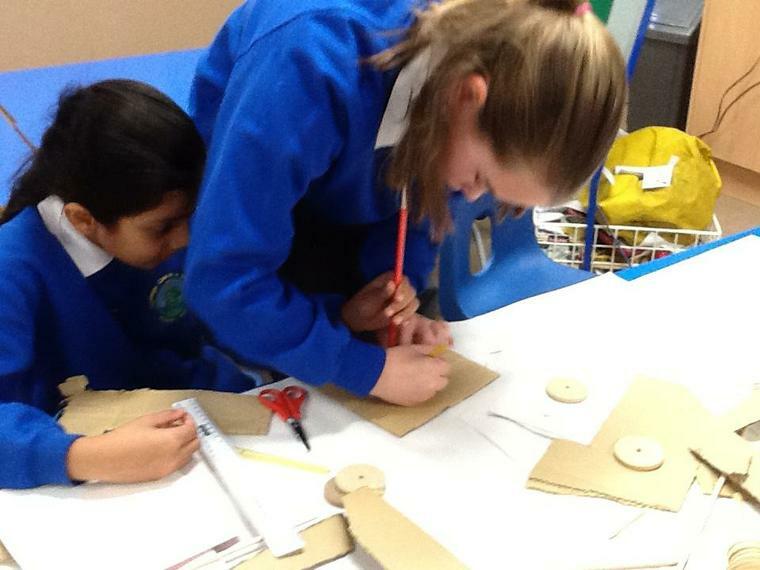 It was frustrating at times but we persevered! 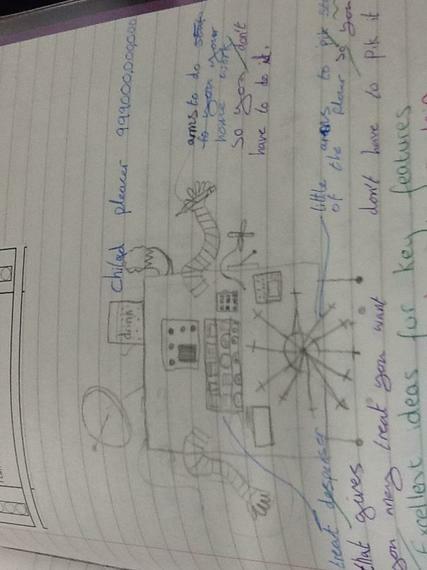 We also finished our invention stories this week and were very proud of our final drafts! 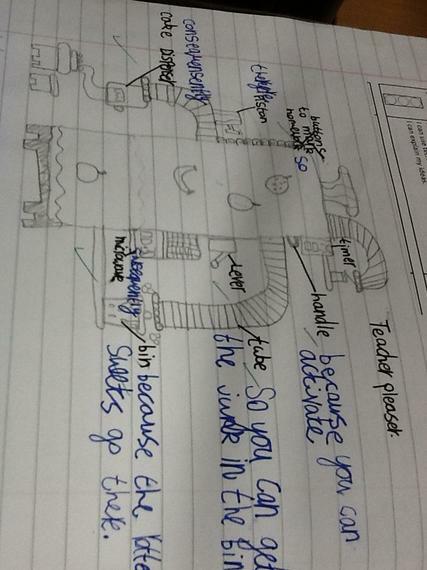 Week 5: Can I create my own version of The Teacher Pleaser? 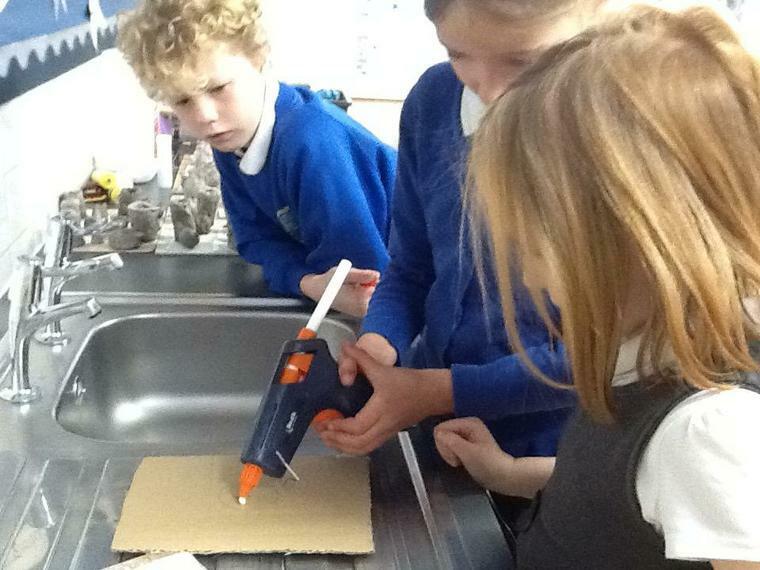 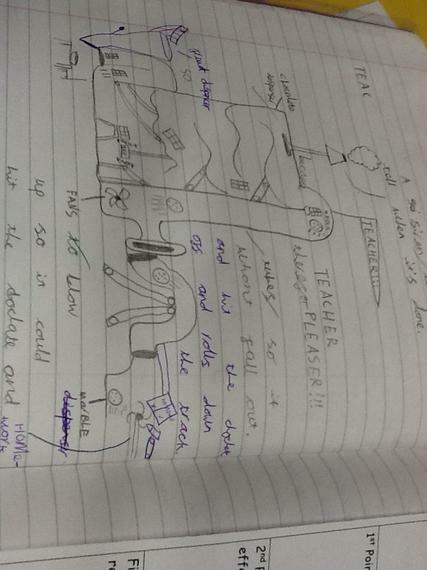 This week we looked at the Teacher Pleaser invention and then created our own to write about. 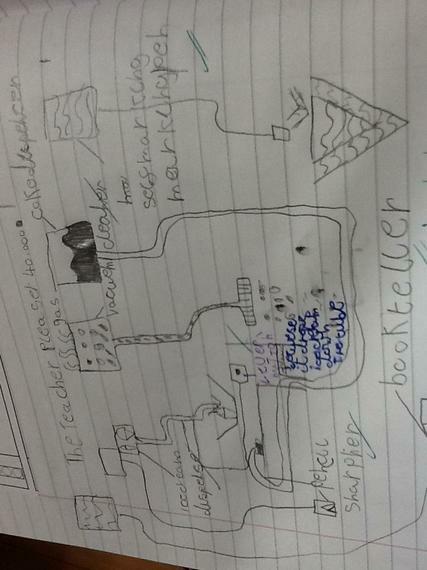 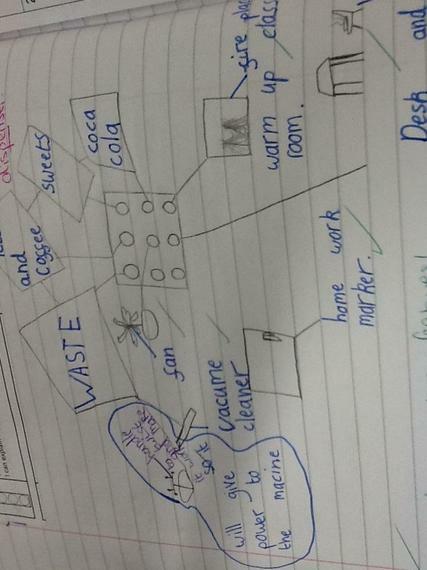 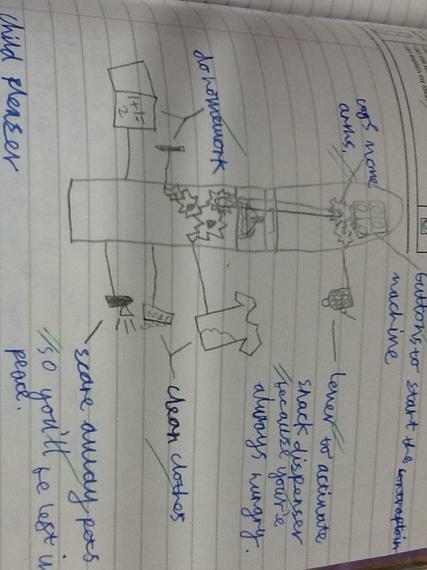 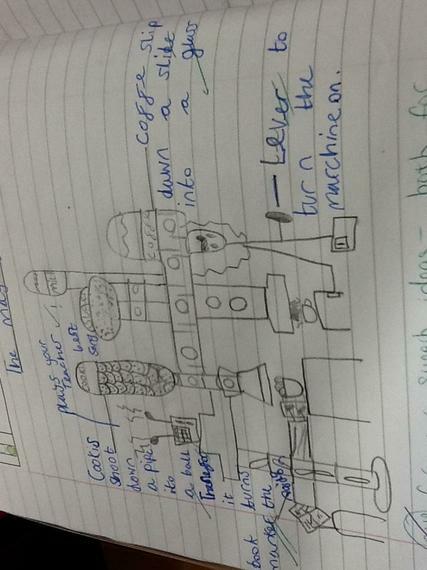 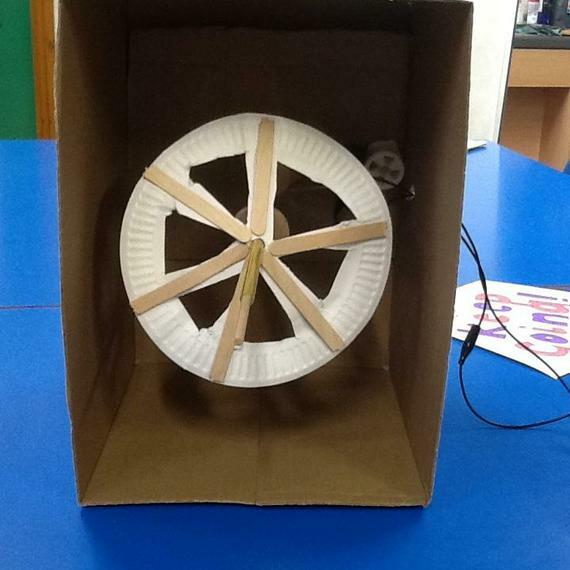 Ideas included an invention for students that came with a homework writing feature! 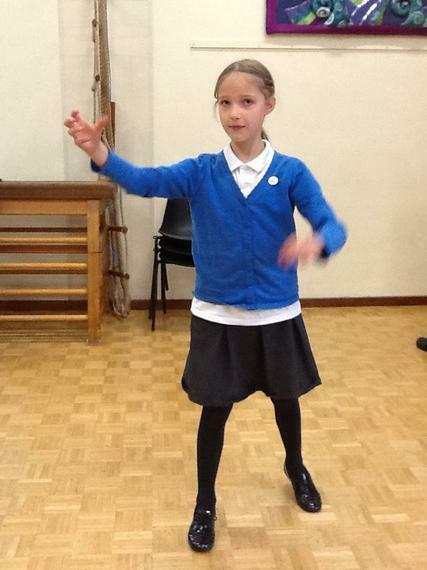 Week 6: Can I create my own dance? 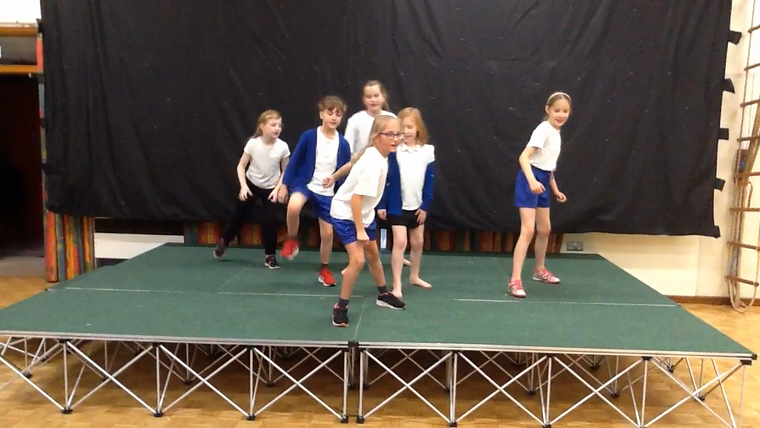 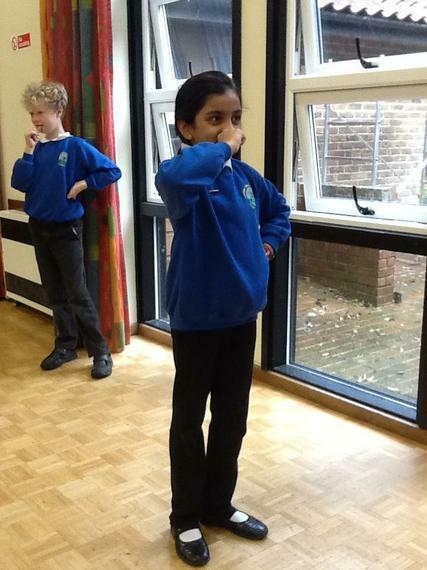 This week we continued to learn a Haka dance but this week we added our own moves! 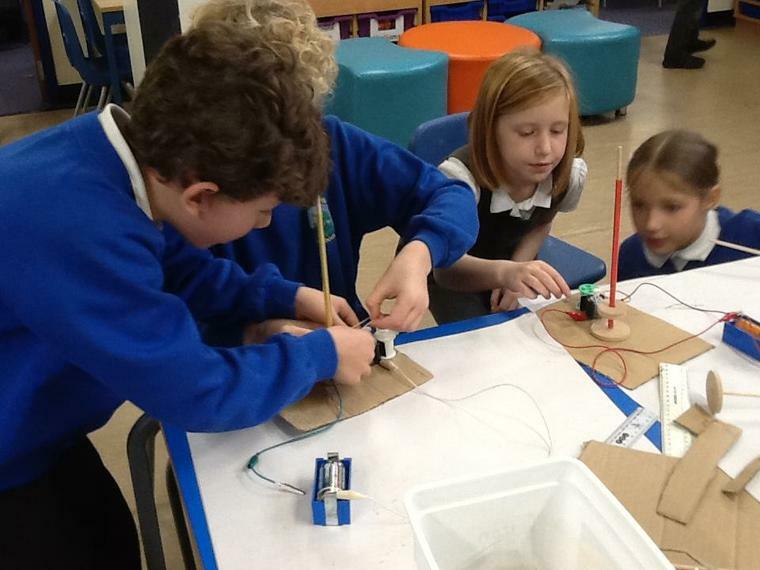 We also researched Victorian inventors such as Alexander Graham Bell and thought about why there were so many inventors in the Victoria era. 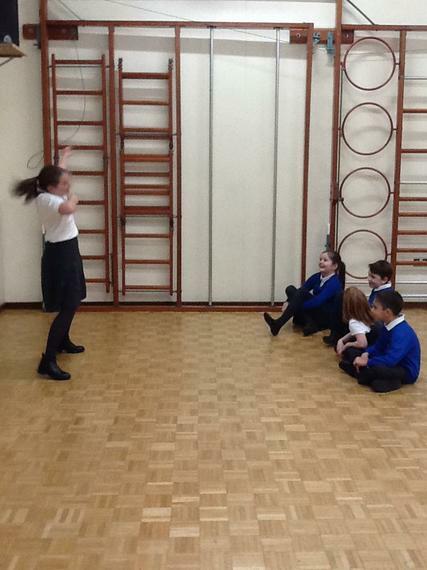 Week 7: It's Almost Christmas! 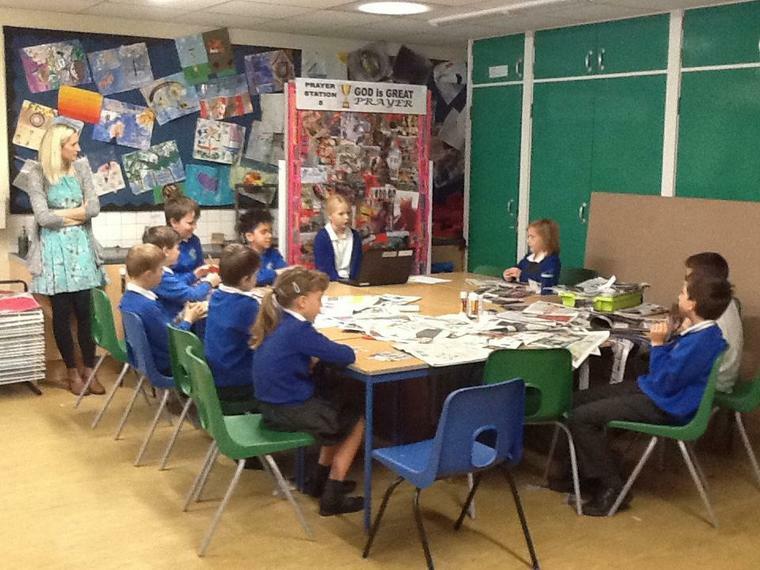 The highlight this week has been winning the best decorated class competition! 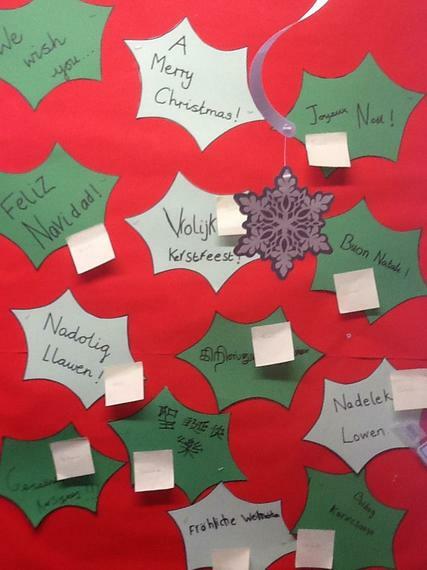 We decided to celebrate all of the languages we speak or are spoken by family members. 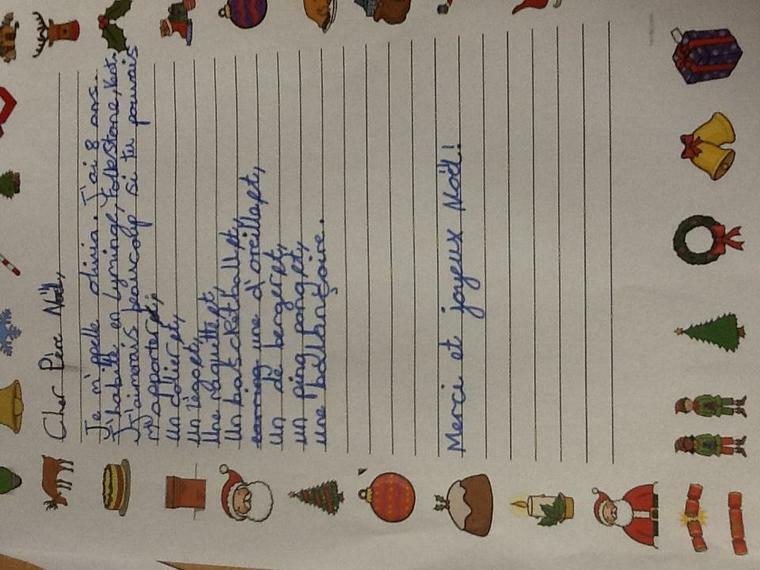 First of all we found out how to say 'Happy Christmas' in these different languages including Dutch, French, Italian, Spanish, Welsh, Cornish, German and Afrikaans. 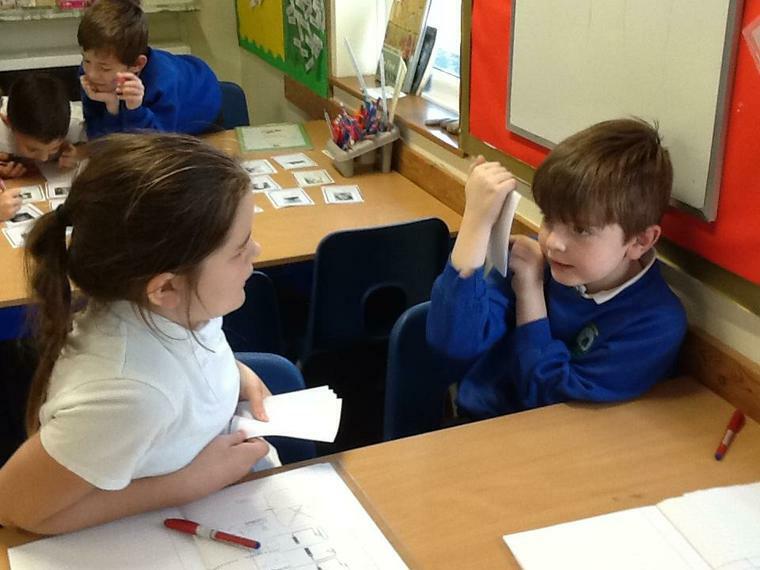 We challenged the governors to work out which language on our display board. 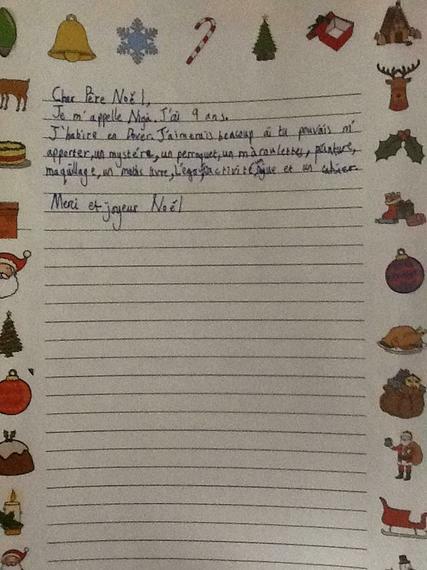 We then wrote to Father Christmas in our French lesson as well as learning Jingle Bells in Spanish! 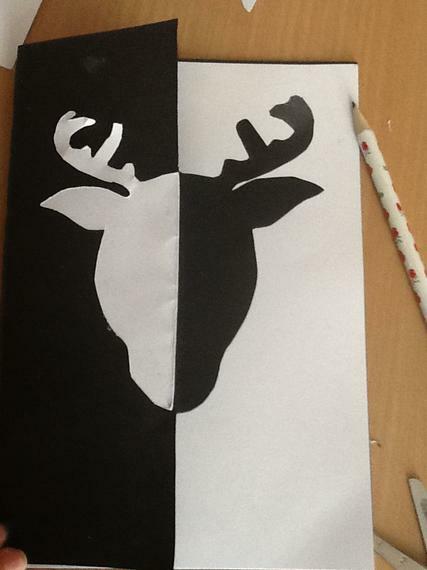 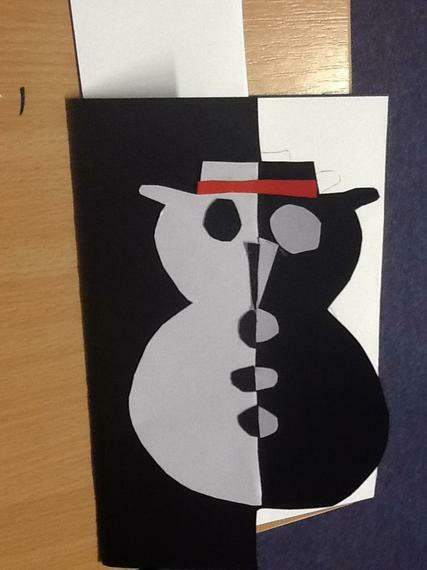 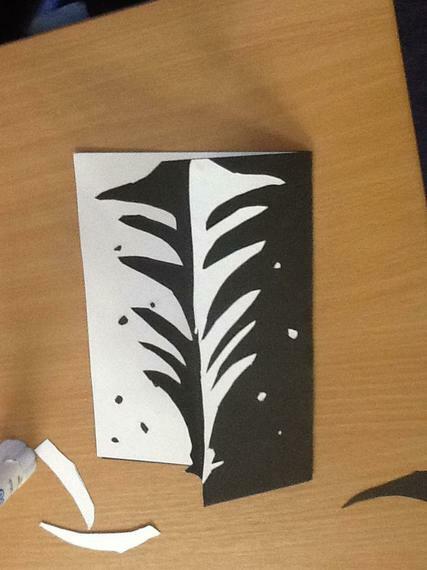 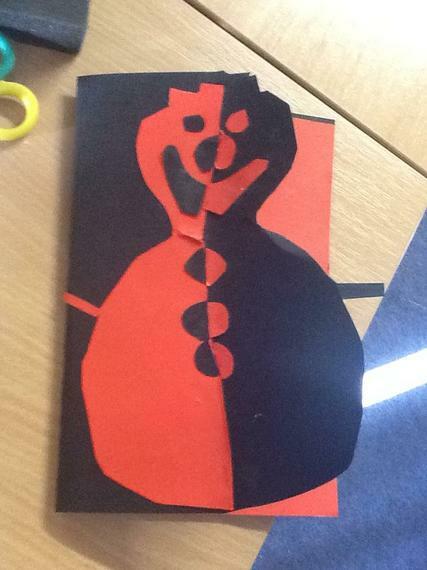 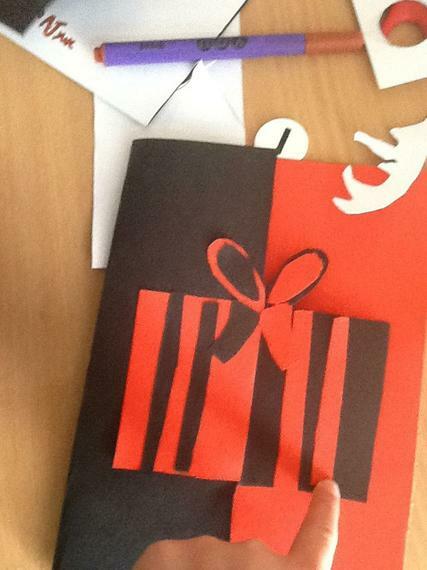 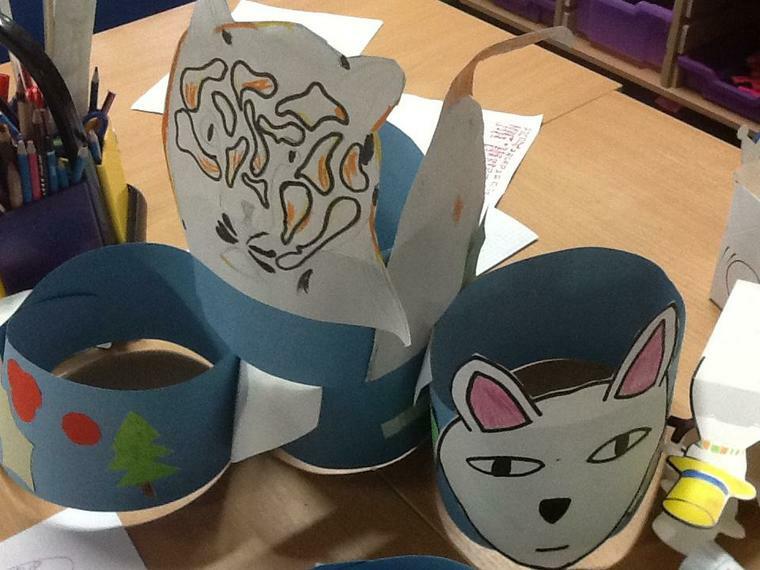 For our art and craft lessons we created colour contrast Christmas cards and advent wreaths with our hands. 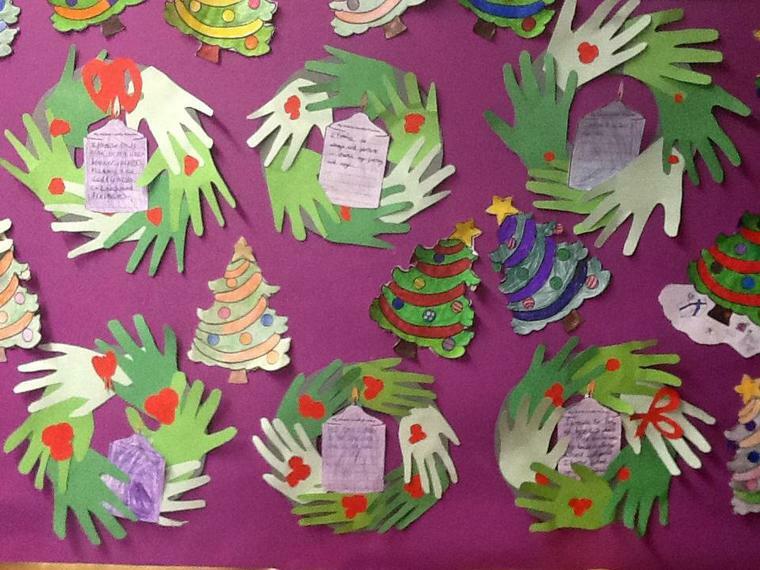 Inside our wreaths we wrote on the advent candles. 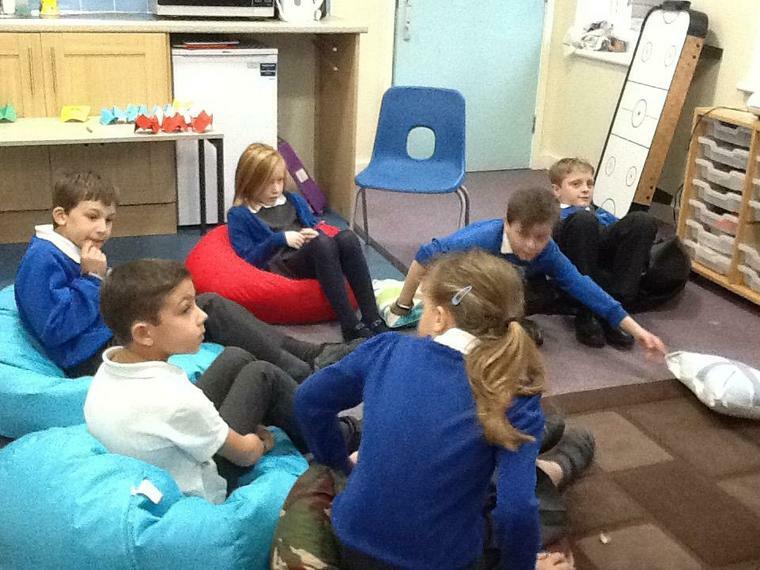 We also got to watch the amazing KS1 nativity as well as enjoy a Christmas film!